As if Amazon (and Prime) didn’t come to the rescue enough already, it is doing so once more. For anyone who could not get that last piece for your festival outfit in time, or maybe forgot sunscreen, and are camping or unable to get around Indio to get some, Amazon is helping fix that problem. This year, they’re putting their own Amazon Locker inside of the festival during both weekends of Coachella. For those of us who may not live by Prime and our deliveries, Amazon locker is a shipping option so that you can just pick up what you ordered at a locker rather than paying for it to get delivered to your house. Having one inside of a festival can be game-changing. You won’t have to go to the very expensive Coachella general store or figure it out another way. 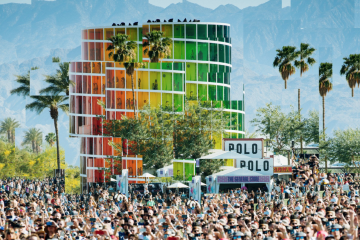 Concert-goers can order from a custom Coachella storefront on Amazon that will feature products in categories including fashion & accessories, beauty, health & wellness, tech, and camping. Just like other Amazon lockers, customers will select the Coachella locker as a delivery location and receive a barcode after ordering that can be scanned to get their package. There is no extra charge to use the lockers. The items available to order have not been released yet, but I’m sure many people will be adding that locker to their Amazon address book right away. And who knows? This may become a staple for festivals in the future.